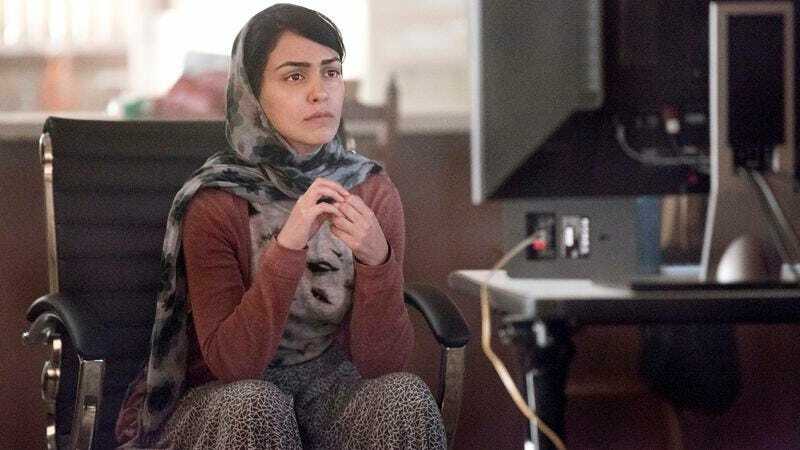 For reasons that remain classified—but have been slathered all over the pages of this very website, so watch what links you click—Nazanin Boniadi has been promoted to series-regular status for Homeland’s fourth season. The news shouldn’t come as a surprise, as her character [name redacted] figured prominently in [season-three plot synopsis and character development redacted]. Also [major, series-long spoiler redacted] takes [former series regular], [former series regular], and [former series regular] out of the picture [picture redacted] for the foreseeable future. Boniadi returns to Homeland after a brief spell on Scandal in which [season-three-of-Scandal spoilers redacted]; she previously played [How I Met Your Mother character name redacted]’s [relationship to HIMYM character redacted] on How I Met Your Mother, a run that was ended when [HIMYM plot twist redacted, though you probably guessed it had something to do with Ted or Barney, because Marshall and Lily are that show’s romantic rock, with the exception of [pretty much all nine seasons of HIMYM redacted]].